Uncompromising. In short, we think it would be crazy to give music anything less than everything it deserves. 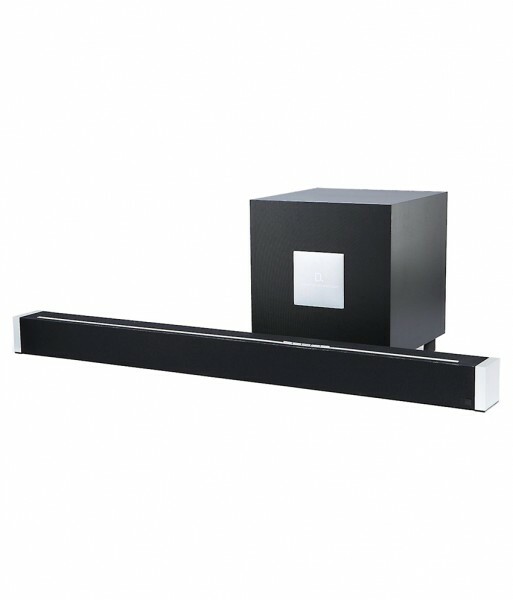 The Definitive Technology W-Studio sound bar system is Definitive Technology’s flagship wireless soundbar that perfectly blends high-performance theater sound with hi-resolution musical reproduction. The W Studio’s purposefully slim design (only 3.5” deep) is only overshadowed by its fit and finish, featuring solid aluminum end caps. The W Studio uses Definitive Technology’s proprietary Spatial Array technology that aids in creating a high-definition, room-filling 5.1 channel surround sound experience. The compact wireless subwoofer creates waves of big bass via its downward firing 8-inch woofer, bass port and robust 200 Watt amplifier. HDMI switching for both audio and video maximizes this home theater’s high performance potential. The W Studio is part of Definitive Technology’s Wireless Collection which is an all-encompassing solution for distributing audiophile-grade music anywhere or everywhere in your home. Stream your favorite music services, internet radio and your personal digital music library all from your smartphone, tablet or computer. The free Definitive Technology App allows you to mix-and-match speakers with the open PlayFi Technology standard and future-proof your home music solution. The Definitive Technology Utility App provides extended functionality, including product firmware updates, source selection (if applicable) and EQ settings for the W Amp.